Calibration tools are an essential part of any color-critical workflow, whether you are an indenpendent professional working with web and print files, or part of a larger color-critical workflow. As experts in wide-format printing, ImageTech technicians understand color managed workflows and offer on-site training and support. 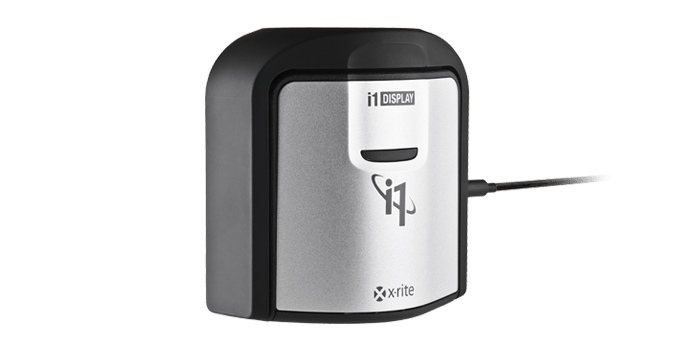 A key tool for many of our clients is the X-Rite i1 Family of spectrophotometers and calibration workflow products. Imaging professionals know that calibrated and profiled devices and systems are a critical and essential part of a successful, efficient, creative workflow. What you capture on your camera; see on your monitor, projector or mobile device; view on your proofs, prints and presses; or share online has to match –or you will never be happy with the result. The X-Rite family of i1 color management solutions are known for their high level of color accuracy. 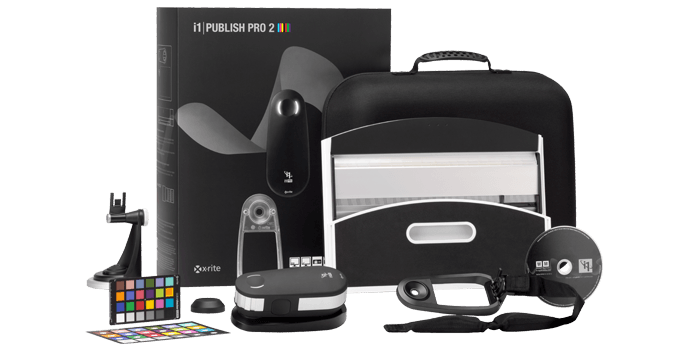 For larger professional color managed workflows, the X-Rite i1 Publish Pro 2 (EO2PUB) delivers perfect color consistency across all devices, whether digital or conventional, in multiple locations. With i1Publish Pro 2, you can easily create custom, high quality profiles for cameras, monitors, projectors, scanners, and both RGB and CMYK+ printers. You’ll quickly maximize your profitability and minimize wasted time, ink and paper. It also includes display and printer quality assurance functions. The i1Publish is the perfect solution for photo and graphic studios, advertising and PR agencies, and print and sign shops. Calibration tools are an essential part of any color-critical workflow, whether you are an indenpendent professional working with web or print files, or part of a larger color-critical workflow. As experts in wide-format printing, ImageTech technicians understand color managed workflows and offer on-site training and support. 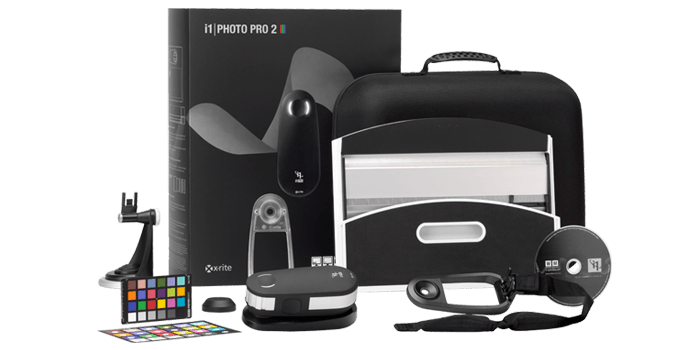 The X-Rite i1Photo Pro 2 is the industry standard for professional photography. 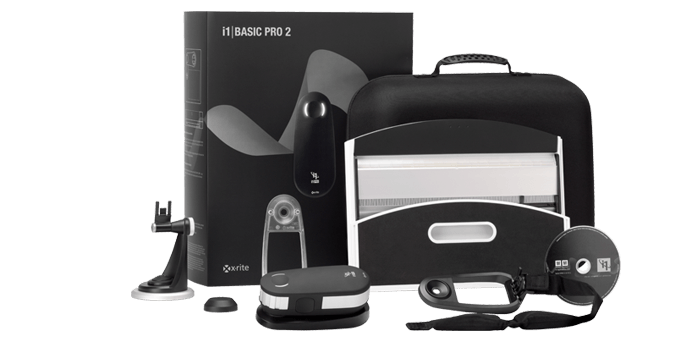 It offers the most accurate and consistent color calibration and profiling from capture to view to print – for camera, display, printer– combining world-class hardware and software to deliver the ultimate professional level color management for photo pros. Not only does ImageTech sell and install large-format printers, but we offer the support services to keep you up and running with outstanding results. Our technicians are experts in color management and provide on-site set-up, training, and support. Calibration tools are an essential part of any color-critical photographer’s workflow, allowing files to be shared with peace of mind across teams for print and web publication. X-Rite’s i1 Display Pro is an affordable calibration solution for displays, screens, and monitors, giving you assurance that the colors you are seeing are accurate. 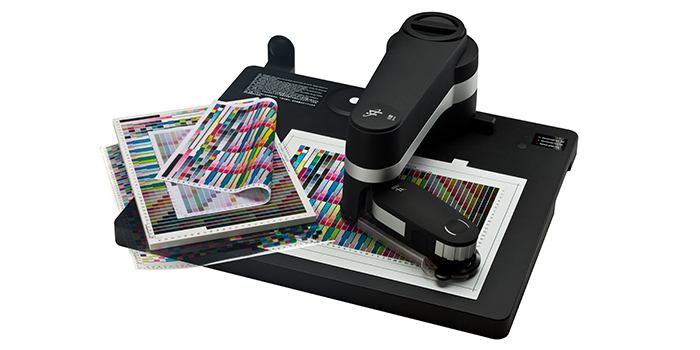 Affordable calibration tools, such as the i1Display, are an essential part of any color-critical workflow, whether you are an indenpendent professional working with web or print files, or part of a larger color-critical workflow such as a print shop, photo studio, or advertising agency. ImageTech technicians can advise you on color-management best practices. They are experts in color management workflows and offer on-site training and support.